In this 21st century the use of smart phone has reached it's highest peek. Nowadays the cost of smart phone is very less which makes it affordable to buy even by the ordinary people. Even though there is lot of development in latest technology, the battery life of the smart phones are very limited when compared to the ordinary mobile phones. 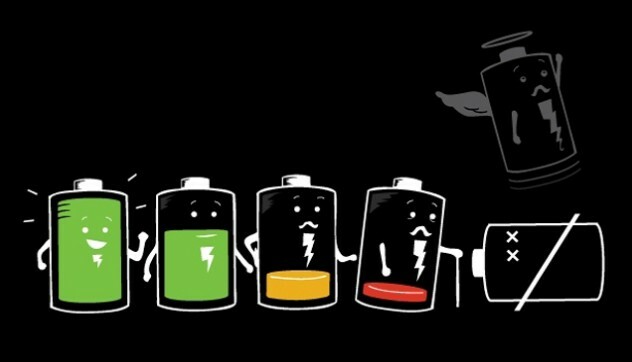 In the per-smartphone era, your cell phone would easily last weeks between charges, while modern smartphones struggle to make it through a single work day. This is most effective way to keep your mobile battery healthy. If you are not going to use your mobile while sleeping or traveling Turn it off. You can do the same if you are somewhere with no network, specially during no coverage device searching for network and battery consumption will be much higher. The back light is what makes the phone easier to read in bright light or outside. This light also uses battery power. This vibrate function use additional battery power. Also keep the ring tone volume as low as possible. If you know your battery is running low, don’t use the camera or don't connect to Internet. Photo using flash will drain your battery very fast. Lots of time we heard people say, "I think my battery’s going down," and still continue their talk for few more minutes? Of course, sometime it's an excuse to get off the phone (and a good one), but if you really need to conserve the battery, limit your talk time. Bluetooth always ON will drain your battery very quickly, keep it switched off whenever not required. If your phone has these features built in . Keep them off and turn it on only when you need them. Bright screen looks great but at the same time it will take more battery power. In order to increase the battery life, lower the brightness of the screen. Possibly, setting automatic brightness will also contribute in maintaining the device's battery life. Excessive use of 3G will drain battery much faster. Turn off the 3G network when ever you are not using them. Usage of animated wallpapers on your device will consume more power and drain the battery faster. Try to turn off the animations on background, instead opt for static backgrounds which will help in reducing the consumption of more power. If there are several apps running in the background of the device it will rapidly drain the battery. A smartphone is an expert in running multiple tasks at a time. By killing the unnecessary apps you can reduce power consumption. Using your device in power-saving mode is a major step towards extending its battery life. Overheating can cause damage to your device's battery. Users are advised to keep their phones away from hot places. Doing so will not only result in draining of battery faster but it will damage it as well. You can check for the latest updates for your smartphone as they may help in improving the power efficiency of the device. It is recommended to turn off the push notifications when not required. It will not only download e-mails or notifications from third-party apps but will quickly drain the device's battery.